I have been compensated by QVC for this post. 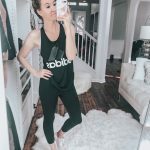 Thank you for supporting the brands that work with Life By Lee! Happy Monday friends! Okay, so if you follow me on Instagram Stories you may have noticed that we go to the grocery store WAY too often. Well in 2019, I’m ending that trend lol. I’ve been trying (key word trying) to meal prep. It’s not easy, but I’m taking little steps to get there and I wanted to share them with you guys today! First off, I needed new food storage containers! When I was invited to partner with QVC, I had no idea they would even have food storage containers. Well they do, and they are amazing quality! I got a few different sizes so that I had multiple options, and could use certain sizes for certain foods, and the smaller ones for the kids. 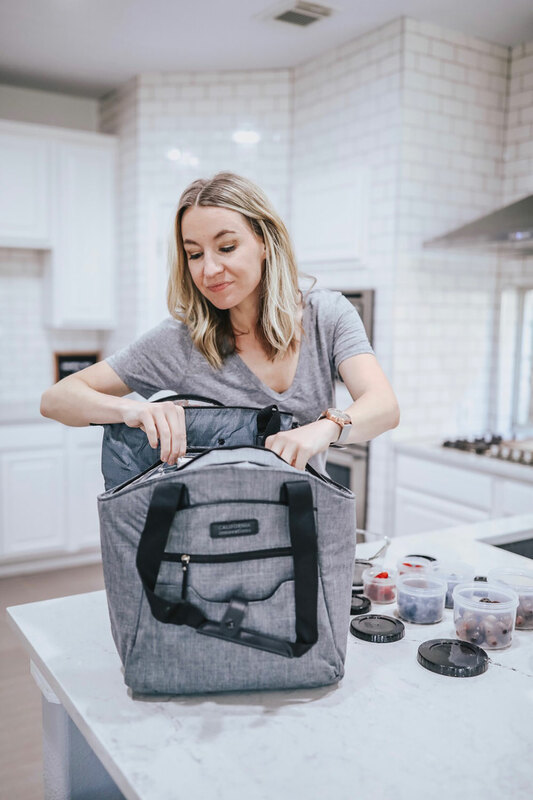 I’m linking all 4 products I received below (they will show up as different colors, but if you click through you will find the black storage containers & the grey bags). 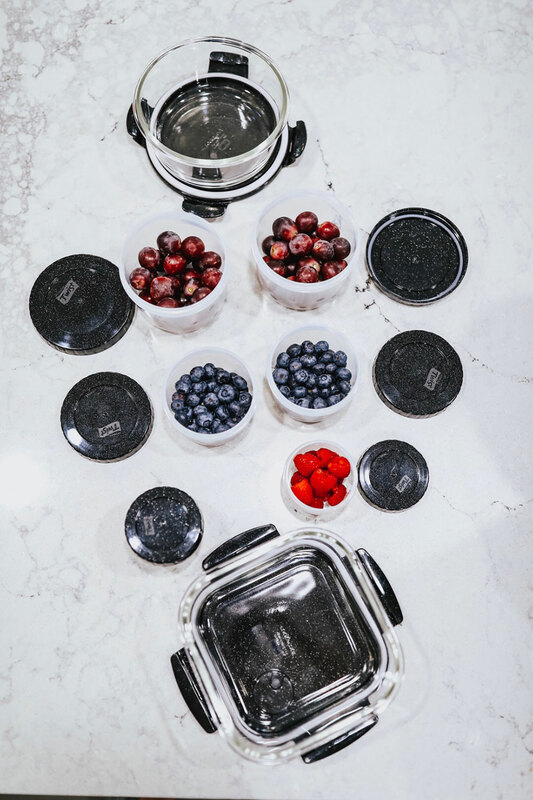 I’m obsessed with the twelve piece set for meal prepping for the kids. It’s so easy to pre-chop their veggies and fruits, and just stick them in the containers. The set is huge & comes with three different sizes. I actually used these bigger square containers for my soup leftovers the other day. They are perfect for storing leftover soups & casseroles. The smaller bowls are great for salads. I made a big salad the other day, and ended up putting the leftovers into this circle bowl. This would be the perfect size to pack & bring to work with you. Lastly, is this amazing bag system. It literally comes with 4 bags, and two of them are insulated. I LOVE this set. It is so easy to toss the entire thing into my trunk & bring with me into the grocery store. Something about these cute bags makes me want to go to the grocery store more often though, lol. I love them! If you’re new to QVC you can use code TEN4U to get $10 off of your first order. So you would be getting a mega discount on any of these items since the price is already discounted! But hurry because this deal ends on January 31st! After the 31st you can use code FIVE4U which will give you $5 off of your first order. 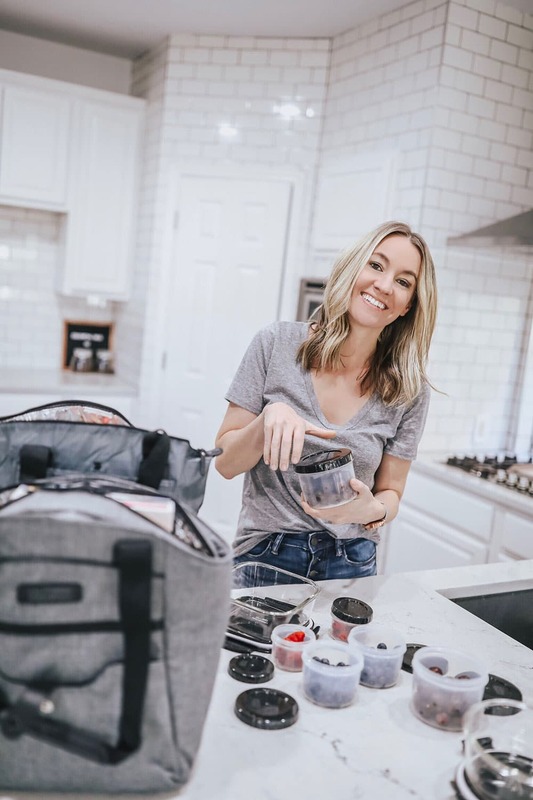 Okay… so now lets get into the 3 helpful meal prep tips I wanted to share with you guys! My kids snack on fruits & veggies ALL day. I usually pre-wash & chop up veggies and fruits so it’s easier to grab them throughout the week. I use separate containers for each fruit or veggie so that I can just toss any leftovers I have back into them. 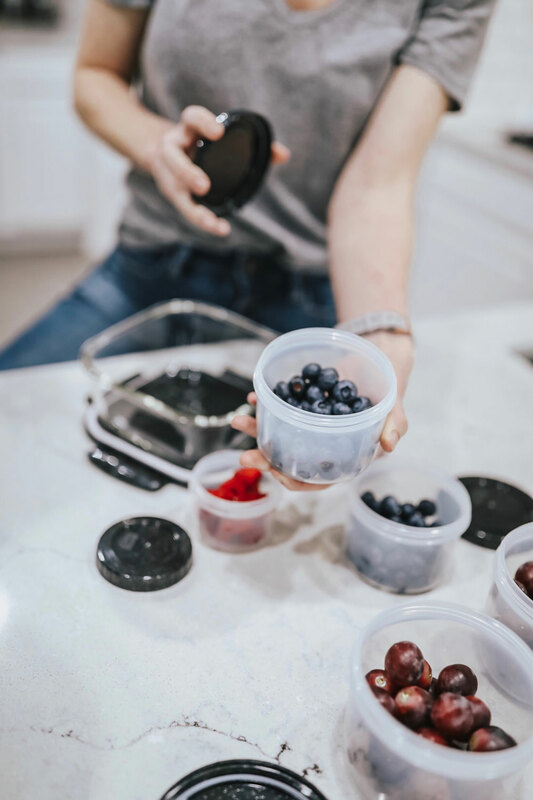 I can also easily grab a little storage container full of pre washed blueberries & easily toss it into my diaper bag if we are heading out for a day with the kiddos. Okay, I’ll admit it. Sometimes I get picky about leftovers. But then there are certain things that I love to eat leftover. The main thing I love to eat leftover is chili. Chili of any kind basically. I have shared blog posts with my favorite grass fed beef chili recipe & my ground turkey chili recipe. Both of these things reheat easily, and I can eat them all week long. Just toss them into one of the glass storage containers from QVC, and you can enjoy your chili all week long! Sometimes this can be impossible, but the quicker you cook these meals you have planned for, the better. They will last longer, and you will have the recipe at the forefront of your mind. I can’t even tell you how many times I had the grand plan for a tasty recipe, and I left all of the ingredients in the fridge for 5 days, and never got around to making it. Okay, so that’s my three tips. They are nothing earth shattering, but they seem to help me. Feel free to share yours in the comments below!